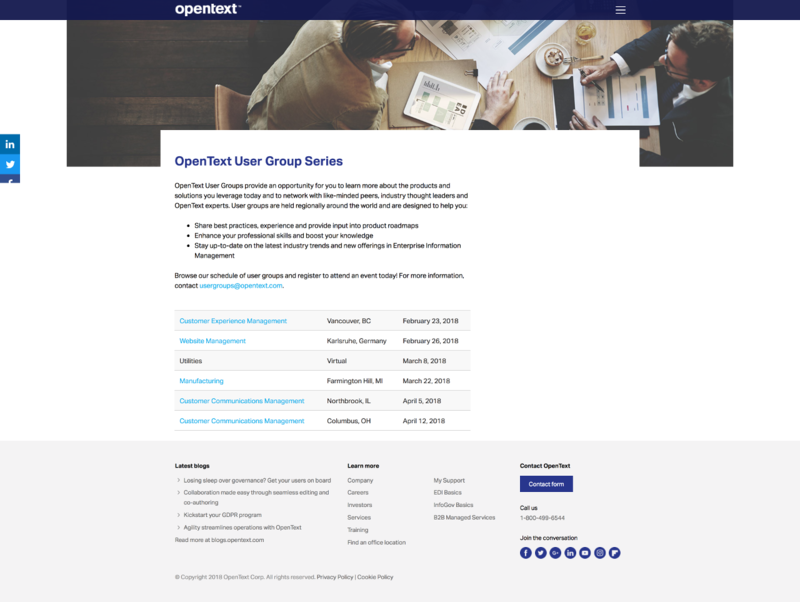 OpenText™ | User Group Series - Open Text Web Solutions Usergroup e.V. Browse our schedule of user groups and register to attend an event today! For more information, contact usergroups@opentext.com.